We have reached that time of year when you can't always rely on the weather when you go riding. Keeping your bike clean gets much harder when you are picking up dirt and grime from the road in the wet. For some people, the end of the season means getting a bike spotless before putting it into storage for the winter. With that in mind, here are 7 of the best cleaning products to make the job as painless as possible, as rated by MCN Shop customers. We can't bring ourselves to take this one off our list of favourites at MCN. 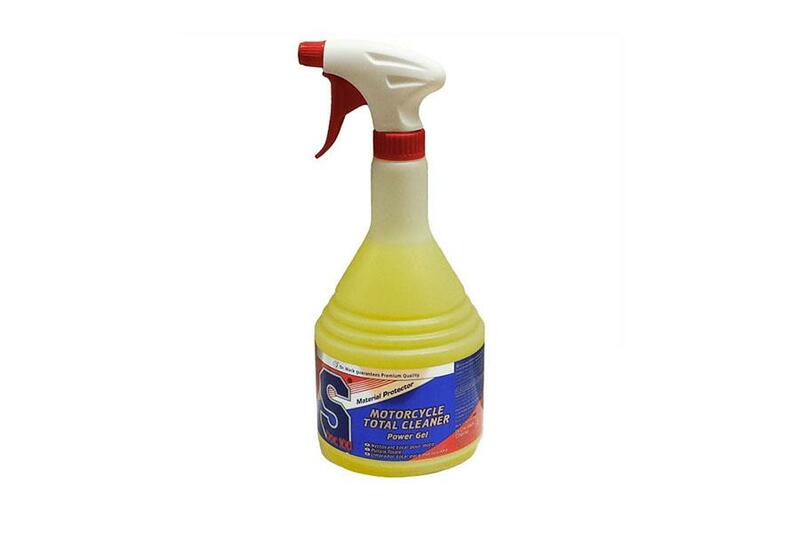 Designed to clean every inch of your motorcycle, this gel cleaner contains a corrosion inhibitor and is designed to protect sensitive areas (stop sniggering at the back). The gel formula helps it stick to the bike instead of running off before you get chance to scrub. It’s great on brake dust, even without agitation, and leaves a nice shine on your paintwork. You might find it takes more than one application to get chain lube off, but bug-splatter is no match for this great all-round cleaner. If you do plan to use your pride and joy through the bad weather, there’s nothing worse than watching it being destroyed by winter salt and grime. It’s painful. 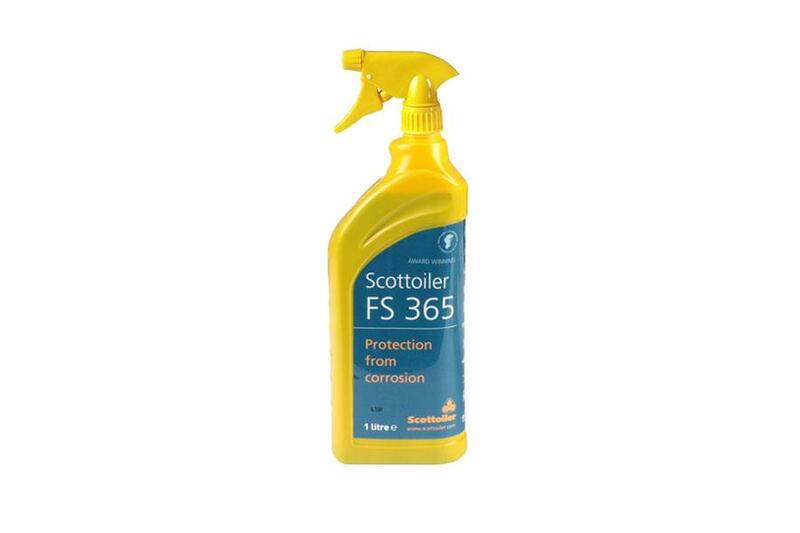 However, there is a solution to help you fight the battle – Scottoiler’s FS 365. The water-based corrosion protectant leaves a protective film on all surfaces of the bike; including bodywork, the engine and even downpipes. Use it liberally after you’ve cleaned your bike and it helps win the fight against winter corrosion. Your bike will easier to clean the next time, and it won’t look like it’s had a hard winter by next year. 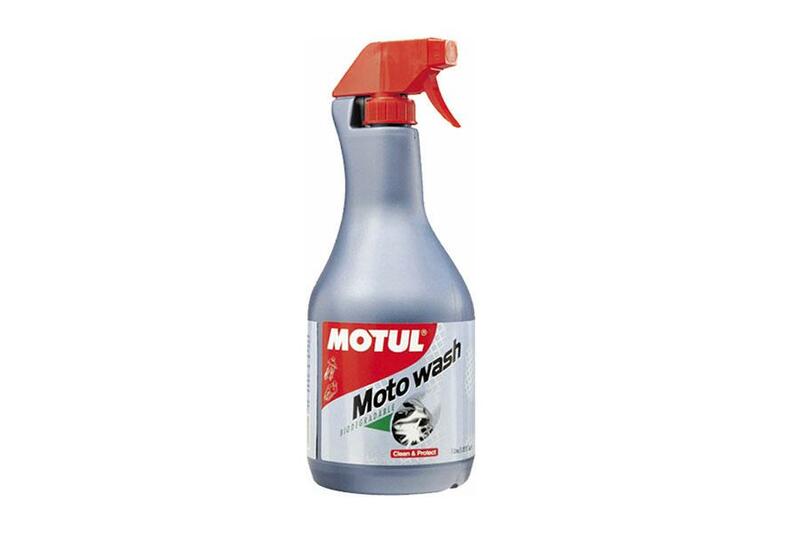 This biodegradable motorbike cleaner from Motul is a great product. Just spray it on, let it do its thing, give your bike a once-over with a brush and then wash off for a streak-free shine. It even smells good, too. Another one from the list we just couldn't remove. This stuff is brilliant. 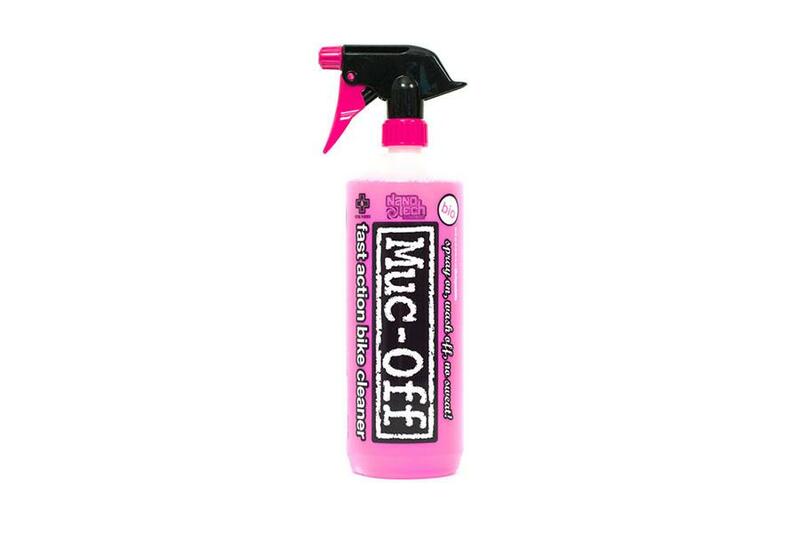 Muc-Off claener uses nano technology, which which also cares for your motorcycle and doesn't damage delicate surfaces. It's also safe to use on carbon fibre and suspension seals. 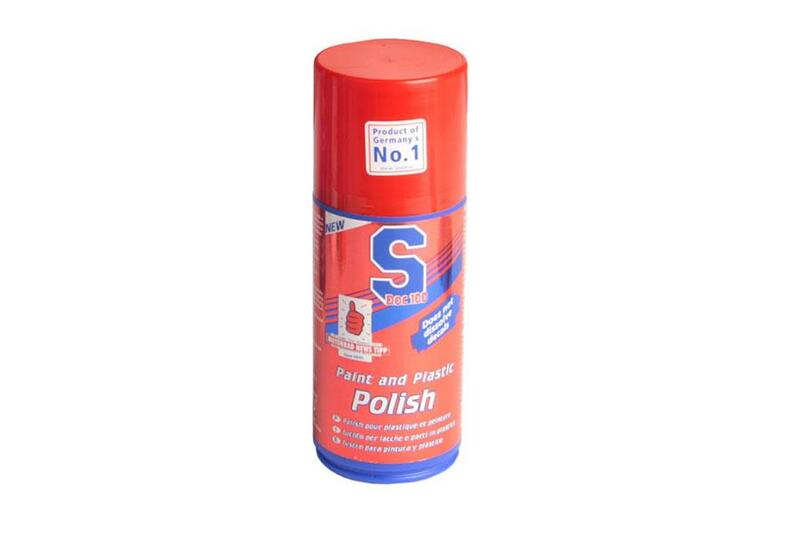 If merely removing the dirt and grime from your bike isn’t enough for you, then look no further than this polish from SDoc100. One application should be enough to remove fine scratches and leave your plastic and painted parts shining brighter than they did from the factory. It’s solvent-free too, so you don’t need to worry about your decals peeling off. One of the very worst motorbike maintenance tasks is cleaning your chain. All that chain lube mixed with dirt and grime from the road works its way into every nook and cranny. 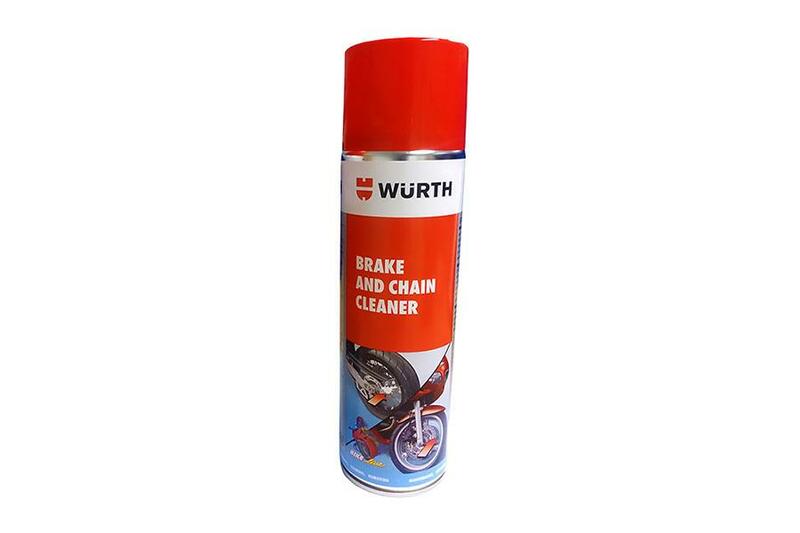 Fortunately, it can be a whole lot easier with this great chain cleaning spray from Würth. Spray it on watch all that muck melt away. We’ve all been there, you’ve wheeled your bike onto the drive, rinsed it down and liberally applied your choice of cleaner when you realise you’ve only got the same enormous car sponge you’ve been using for years to go to work with. 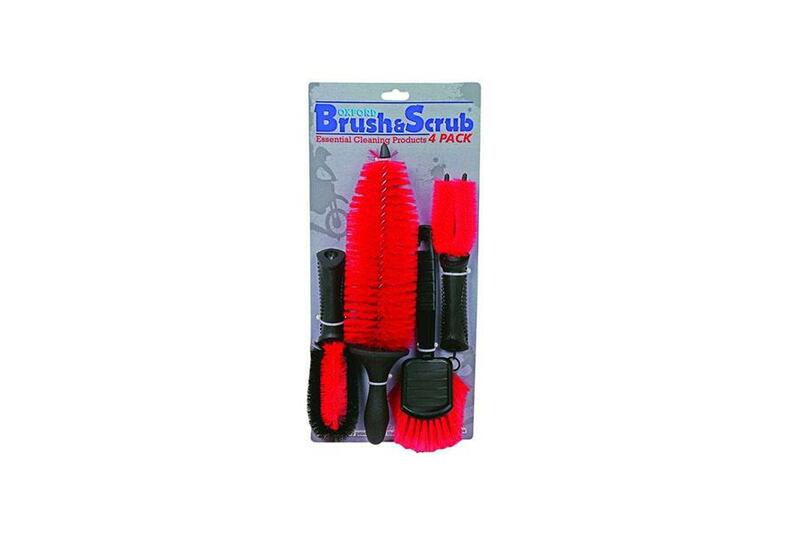 Make sure you’re properly equipped for the task of cleaning a motorcycle with this brush set from Oxford. Work your way into all those parts you normally struggle to reach and get a better overall result. Your bike will thank you.